Apparel that's practical on and off the bike? Sign me up! Let’s be honest—shopping for riding gear as a woman can be a little irritating. Especially if like me, you prefer your stuff non-pink and without flowers or fringes. What’s up with wedge riding boots? Looking at all the awesome gear our fellow male riders have access to, doesn’t it make you a tad bit envious? I’d love to have sneaker-looking boots and nice vintage leathers. It seems we we're not the only ones annoyed with the conventional female gear and the ladies at Atwyld came up with a pretty badass line of protective gear. Best of all? No flowers. 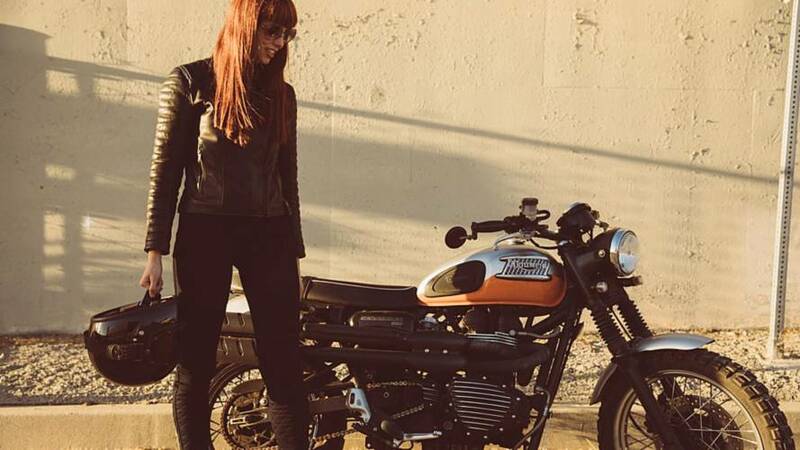 The brand was created by riders Anya Violet, Jaime Dempsey, and Corinne Lan Franco. Their experience on the road and on the dirt tracks has led them to yearn for proper, functional gear. The solution? Make it themselves. Atwyld's founders came up with a line of apparel that can be comfortably worn off the bike, but with the extra stitching, padding, and shells required to be safe when you’re in the saddle. Denim, leather, and jersey blend into a collection of gear that’s not only practical but also easy to wear. You want vintage? you have it! You want badass-looking? you have it too! No flowery tribal motifs here, that’s not what the ladies at Atwyld do. They want you to be safe and look good being so. The ladies do everything themselves, from the design to the merchandising. They have their hands in everything except manufacturing. They also just released a collection of off-roading gear called X Lab. Forget mesh, these items are a far cry from your usual motocross get up and a lot sturdier-looking. On their website, the team writes “Driven by a sense of freedom, independence and a bond to the road; Atwyld is not just a passenger on your journey but an integral part of your riding experience.” That’s deep, man. Oh, and if you’re wondering what “Atwyld” means, they describe it as that very fine line between fear and thrill, as you push the limits of your comfort zone a little further. Thanks to the three ladies at Atwyld who decided to do things differently and give women an alternative in terms of gear, we’re finally seeing more variety in the style of equipment made for us. Still want that Hello Kitty helmet?